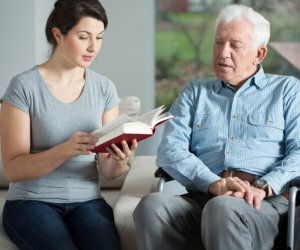 Speech Therapy | Home Health Care in PA | Progressive Health, Inc. Your loved ones can improve their swallowing and communicating with the help of the speech therapy we offer. Our speech language pathologists will assess and treat swallowing and speech dysfunctions as well as cognitive problems through a comprehensive care plan that is specifically tailored to meet the needs of the patient. For more questions or concerns, kindly call 610-789-1001 or 610-789-1160.